What is abnormal skin pigmentation? Problems include hormonal pigmentation such as melasma, liver spots, age spots, trauma pigmentation, post-inflammatory, sunburn and freckling. 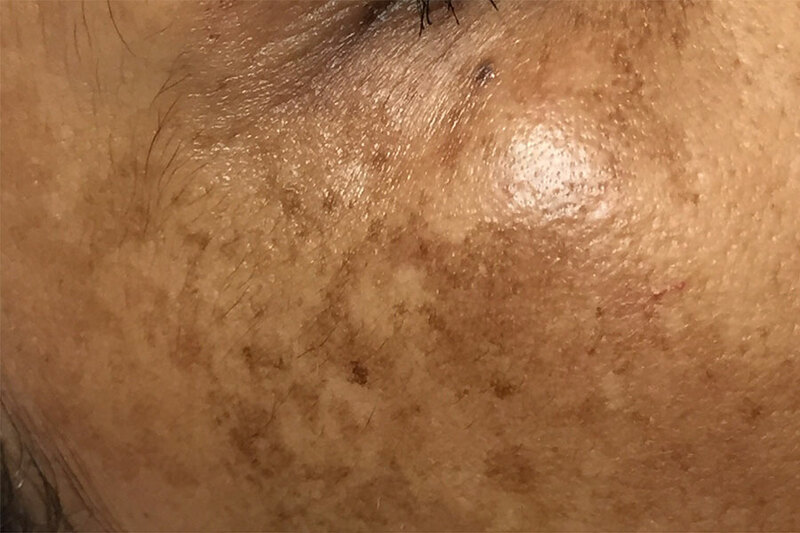 Abnormal pigmentation can be caused by free radicals which are damaging agents that disrupt the normal function of a skin cells, exposure to the sun and over production of melanin. What treatments are available for pigmentation problems? Eden Skin Clinic offer a range of skin treatments for pigmentation problems. Book a consultation with one of our anti-ageing specialists. They will discuss your concerns, answer your questions and recommend the right course of skincare treatment for you. Suffering from sun damage? Read more about what the causes are and how we can help here.